First of all, there is a new ASNCOC website. Find out about upcoming activities, get in touch with chapter leaders, find local resources, and (eventually) see photos of ASNCOC events. If you haven't already, also remember to sign up for the ASNCOC Yahoo group and "like" their Facebook page for even more great information. 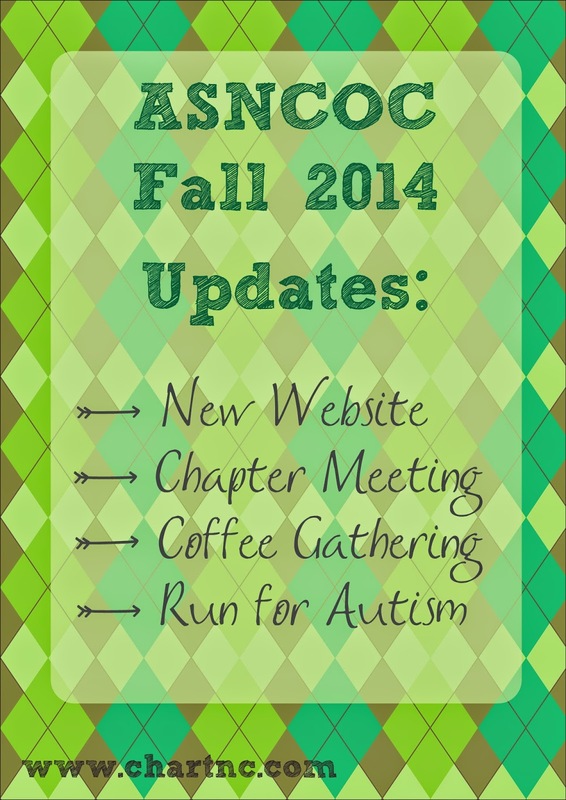 Check out the new ASNCOC website! This is an incredibly important topic for parents of children of any age. When our kids are young, we tend to focus on academic goals in IEPs, but are we preparing them for real life after school ends? What skills will they need? The younger your child is, the more time you have to prepare them for success after high school, so now is the time to start! Childcare will be available. Please R.s.v.p. to asncoc@gmail.com if childcare is needed. Mark your calendars for the 16th Annual Autism Society of North Carolina Triangle Run/Walk for Autism on Saturday, October 11th in Raleigh! It is a very fun event, whether you are a competitive runner, casual jogger, or relaxed walker (FYI, the race course passes by a Krispy Kreme, Just saying...). This year, ASNCOC has a race team called ASNC Orange - everyone is welcome to join. And if you can't make it to the race, please still consider donating. We believe that where you donate matters, and the Autism Society of NC is one of our favorite non-profits because their funds stay in North Carolina. 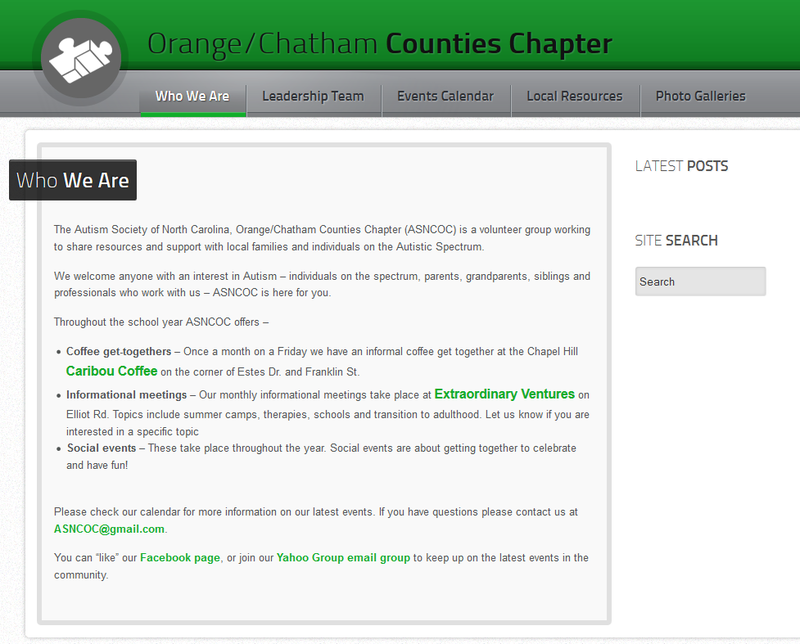 Finally, don't forget the ASNCOC Coffee Gatherings. The first two of the fall will be September 12th and October 10th. Hope to see lots of you there!